HomeWordPress KnowledgeHow To Migrate a Website From Drupal To WordPress? Sometimes, there is a good suggestion to migrate your site to a different CMS (Content Management System) that offers you the various types of features & layout to choose from. Migrating your site might seem like a complicated task – that kind – for which you will require an intermediate to advanced level of technical skill or a WordPress expert. But, WordPress makes it very easy for new and experienced users to execute the entire migration by themselves. As we know, it is a most popular platform that can manage the content, users and some other things. Backup your site: The very first thing you have to take the backup of your Drupal site before starting the migration. Not backing up your site data can face a big problem. Means to say, you can be lost all the data of your entire site. And also be sure to backup your WordPress site, if applicable. Take inventory of your content: Now, you need to analyze your site and create a spreadsheet of all the content. Here, you may find many outdated contents and can be left behind. However, a lot of services out there that can help you to create a content inventory. Establish a plan: Concentrate on it and think what exactly it is you’re looking to achieve with the migration task. Such as, do you want to keep your current theme? Will the URL structure change? Looking to revamp your site design, and only move content? You have to know very clearly what you want to migrate including domain name, site architecture, design, hosting, content, and so on. Thus, doing this you will be organizing sufficiently to ensure a lustrous process. Prepare for SEO preservation: To ensure the SEO preservation, you can use the services such as Xenu Link Sleuth services to crawl your site and to export the URLs to easily understand the current architecture of your site. Allot time for the migration: Migrating your site can consume a lot of time. That’s thing depending on your site size and amount of content. Therefore, try to migrate your site during the non-busy time for your business. Why Migrate from Drupal to WordPress? There are the few reasons to take advantages of migrating your site from Drupal to WordPress. WordPress is the No.1 CMS: We know very well, it is the king of all CMS (Content Management System). WordPress powers about 26% of the entire internet and more than half of the CMS market share. Further, according to a survey, out of the top 1 million sites using CMS, and WordPress powers nearly half of those. 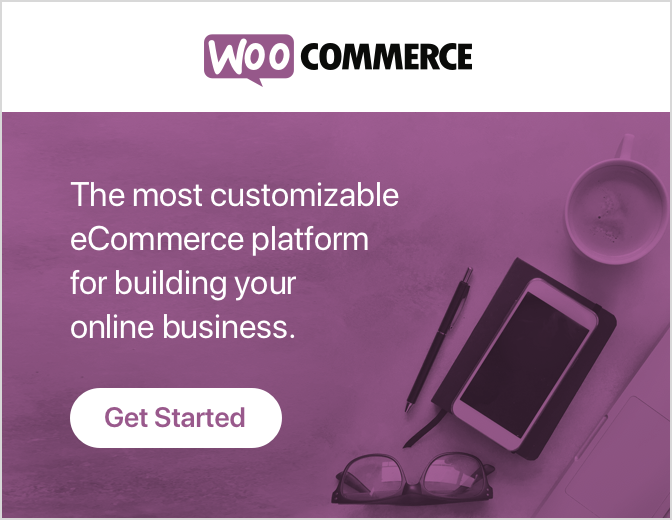 It is not surprising that the business such as Siemens, Uber, Hallmark, and National Geographic all run their site on WordPress. Because it is one of the platforms that offers 40,000+ plugins and thousands of themes to choose from. WordPress is designed to support high traffic, complex sites: A lot of World’s biggest sites use WordPress. In terms of traffic, there are about 24% are on WordPress among 1 million sites worldwide. In addition, about 26% of the 10,000 highest traffic sites all over the world trust WordPress. WordPress massive community provides incredible support: A great benefit to being the most popular CMS is the large community. In 2015, there were 89 WordCamps that included 21,000 attendees and 1,600 speakers across 34 countries. However, it’s large ecosystem of developers, designers, and experts can also resolve any issue you might have through its forums and other forms of support such as developers resources, online manuals, and much more. 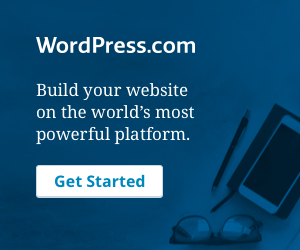 WordPress will endure into the future: WordPress’s backward compatibility, modern development, and constant improvement allow the platform to grow as per your requirements. Furthermore, it also a new technologies leader like WP REST API, that increase WordPress capabilities as a development platform & permit for generator CMS customization. Drupal vs WordPress – Usability Differences: Due to its flexibility & ease of use, a lot of site owner decides to move their site over to WordPress. Between both of them, there are some technical discrepancies. Now we will show you some of the different front-end user element differences between both of the platforms. Nodes: In Drupal – Nodes are how content is stored on a Drupal site. It can be in the polls, articles, blog entries, etc. However, In WordPress, it translates to posts. Custom Fields: In WordPress, it can be added to a post, which is metadata that includes outer information. This is equal to the fields of Drupal. That allows for data to be added to an element, such as the Title or Image. Blocks: The blocks are the boxes which can be designed to appear in different segments of the Drupal site. And the WordPress widgets are equivalents to blocks as they also allow for website customization without having to code anything. In addition, Widgets add the features & content in your sidebars. Also, allow for the biggest design control. And the Drupal use the modules to increase the functionality. Consequently, WordPress uses the plugins to add the extra features. However, there is no one completely correct path for migrating your site from Drupal to WordPress. We will illustrate you some recommended ways based on your technical expertise level. Let’s assume that you have already a hosting provider because you already have a Drupal installation from which you wish to move. Make sure that before you start the migration process, you have to check out that your host supports the WordPress installations or not. In case the WordPress installation does not support host, then get the appropriate hosting as per on your budget. Check out our guide on how to choose the best WordPress hosting. Your main obstacle will be here if you are on a managed Drupal host, but those are less far common that managed WordPress hosts. Here, we will be working with the FG Drupal site to WordPress plugin to complete this migration process. The tool is very easy to use, and cover everything. It also comes in a premium version, but the free version is sufficient for the migration process. However, if you are looking to move multiple authors, comments, the users, and even the custom post types of your web, then you need a premium version. The very first thing, you need to log into your new WordPress site and locate the Plugins>>Add New option on the WordPress dashboard. Thereafter, you have to type the FG Drupal to WordPress on the search bar. Now, press the Install Now button. After the installation process, you have to activate the plugin. Before using the plugin for migrating, just find out and locate a few and specific parameters. Which are your Drupal username, password, hostname, and database name and the prefix. Thereafter you should already know these couple, but you can also find the rest by going into your Drupal installation core files by using an FTP (File Transfer Protocol) client. We recommend – FileZilla. Now, access your files by using the client, and navigate to site/default directory. There you will find a file known as settings.php. Open it by using your favorite text editor and find all the parameters that we have specified earlier. Note this information because we need it within a minute. For now, let’s go back to the WordPress. Now go to the WordPress dashboard and press the Tools tab, thereafter choose the Import option. If the plugin is already installed, then you will see a new Drupal option within the import menu. Here, you have to click the Run Importer button, and you will find yourself on a new page with collection settings to configure. Now go ahead and type or paste the information you have located during steps number two, under the Drupal database parameters section. Configure how the plugin will import into your Drupal post summaries and media files. By selecting Import summary >>to the content which will import them by using a Read More link. Select the option as per your like before moving into the Media section. If you don’t want the plugin to import your media, then mark the box which is next to the Skip media option. You can also opt the images which should be set as ‘featured’ for your WordPress posts and page. And some extra settings related to external media. However, your media migration should be a plain sailing, if you go through any of the problems during the import process, then you may need to increase the timeout limit for each media file, which is the last phase of setting on the configuration page as shown above. Thus, this will account for a variable download speed, that allows your media file to be imported successfully. You’re set once, then press the Start/Resume the import button from the screen and wait till the plugin does its work. When the migration process is done, then you will see a successful message in the plugin’s log. Thereafter, scroll down to the end of the settings page and press the Modify internal links button. This task will update any of the internal links on your website to match its new structures. Now you have successfully migrated from Drupal to WordPress. Now your site completely migrated to WordPress, you can enjoy with additional features of the new platform. First, we suggest you choose a stylish theme for your site. Once done, you should install any plugins that you need. To search the right plugins may take some time. But it is good effort depending on the features that you want to apply. A few of essential for the safety and secure website. Migrating a site to WordPress is not difficult as it seems to be. If you are a Drupal user, then there are the four simple steps that we have discussed above to move your entire site from Drupal to WordPress. We hope this blog helped you to migrate the process successfully. If you found the blog useful, do not forget to use the comment section provided below. If you need WordPress help, please dial +1 844 275 0975 (Toll-Free) number to contact our Customer Support Service. Our support team always ready to help you.